“Whine to the music” is the art of pairing grooves with music, such as Rodriguez Sugar Man with 2003 Kamen Sonoma Cabernet. We have been drinking wine with music since the dawn of wine. I don’t think music would have evolved without wine. Most people tend to turn up the music when they drink wine. Whine to the Music is not just sitting back, drinking wine and getting teary eyed. It is a concept like ART and Wine Pairing, where we dissect the structures of the wine and the work to its basic elements. The structural elements eventually create an emotion in us. 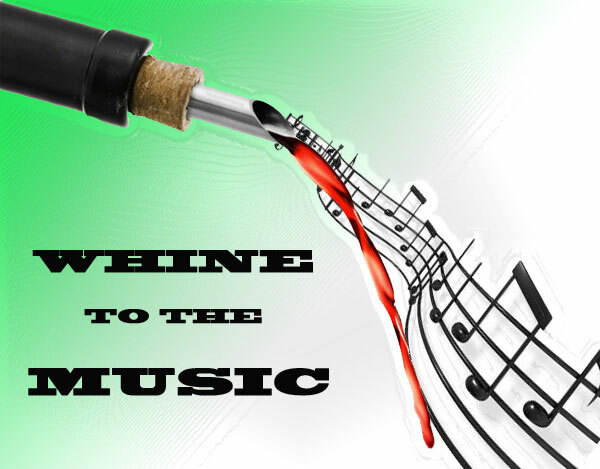 Whine to the Music is the art of pairing wine with music based on the emotion they evoke in us. Aromas/Flavors: I compare the wine’s aromas and flavors with the music’s tone. The Kamen Cabernet has a bit of age on it which began to show leathery aromas, dried fruit flavors and darker spiced notes. If it was younger it might not pair as well, since a younger wine probably works best with livelier music. The bottle aged aromas and flavors set a perfect pairing for the somber poetic tone of Rodriguez Sugar Man. Alcohol/Body: The alcohol or body of the wine can be paired with the type of instruments used in a song. Where a song which has harps and triangles works with light bodied wines, songs with a lot of bass work with full-bodied wines. Although this wine in its youth had more body, the alcohol has worn off and pairs better with stringed instruments. Tannin: I relate tannin to the vocals, are they tannic equaling raspy deep vocals or are they light of tannin equaling a soft melodic voice. Rodriguez’s voice has tension like Bob Dylan, but also soothing. 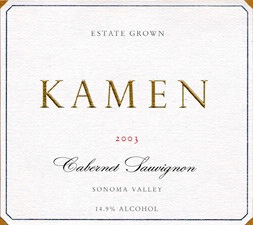 The Kamen Cabernet in its youth had pronounced tannin from the mountain fruit, but now those tannins have softened up. They are still very present, but they are there to give balance and structure, with a bit of tension. Acidty: I compare acidity to the music’s complexity. How much is going on in the music? Rodriguez’s songs are poetic, with basic guitar, a violin, percussion and bass. They are not super complex. However, thematically the poetry is what brings complexity to the music. The Kamen Cab has long-lasting acidity. Even with age the acidity is still alive. It is not razor acidity like cool climate Pinot Noir, but it has enough to bring longevity to the wine ‘s life. Just like Rodriguez’s music, it will continue because of its poetic complexity and “acidity”. it stayed with me for a very long time. I highly recommend go see this movie and get a bottle of Kamen Cab. If you can’t find a 2003 Kamen Cab, don’t worry, buy an aged Sonoma Cab and see if it works. Happy pairing!